Management Members | CellGenTech, Inc. Joined Eisai Co., Ltd. in 1981, and was in charge of product planning for pharmaceutical business. Was involved in postmarketing surveilance and clinical developments. Joined AnGes MG, Inc. in 2001, and was engaged in debvelopments of nucleic acid drugs and gene therapy in charge of clinical developments and business planning. Founded CellGenTech, Inc. in 2003, and assumed President & CEO. Joined Green Cross Corp. (Mitsubishi Pharma Corporation) in 1978, and was engaged in drug developments from research to clinical developments. Joined Mebix, Inc. in 2003, and was involved in planning promotion in the area of commissioned clinical drug research. 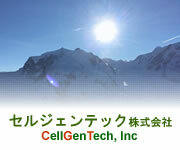 Joined CellGenTech, Inc. as a senior director in 2006. Joined the securities companies including Daiwa Securities Co. Ltd. 1992 to 2000 and a consulting company with the initial public offering 2001. Joined the Investment Banking Division of Bank of America in 2000. Joined Yamanouchi Pharmaceutical Co., Ltd. in 1984, and was engaged in new drug discovery, Corporate Planning and Intellectual Property. Joined CellGenTech, Inc. in 2018. Joined Eisai Co., Ltd. in 1966, and was engaged in Clinical Development/Quality Control and Drug Business Planning with responsibility for R&D. Joined CellGenTech, Inc. in 2004, and was appointed Director. Joined Mitsui Knowledge Industry Co., Ltd. in 1975, and was engaged in system developments for financial field and bioscience field. Worked as facilitator at Incubation institutes for Venture Business at Chiba University. Joined CellGenTech, Inc. in 2018.